Five metro Atlanta university presidents will gather to discuss society's expectations for higher education. 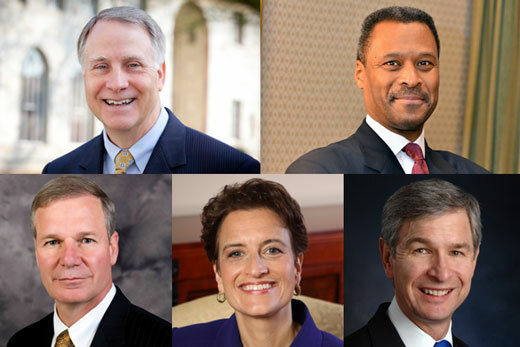 Emory President James W. Wagner will join leaders of other Atlanta metro area universities for “A Conversation Among Presidents: Higher Education and the Evolving Social Contract” on Wednesday, April 2, from 6:30 p.m. to 8 p.m. at Emory University’s Cannon Chapel. The event is free and open to the public. The five college and university presidents will discuss how higher education’s role in society has evolved over time and how they predict it will change in the future, as well as the role of the federal government and higher education’s accessibility and cost. Brendan Ozawa-de Silva, a research fellow for the Emory-Tibet Partnership and religious life scholar at Emory, will serve as panel moderator. Ozawa-de Silva also serves as associate director for Buddhist studies and practice at Drepung Loseling Monastery in Atlanta, and associate professor of psychology at Life University in Marietta, Ga. The event, sponsored by Emory's Office of Religious Life and the Office of the President, will be followed by a reception.